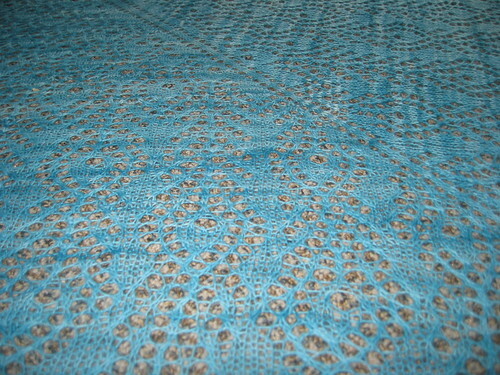 I totally didn’t have enough pins to pin out all of the crochet edges, but I don’t think I would have even if I did. 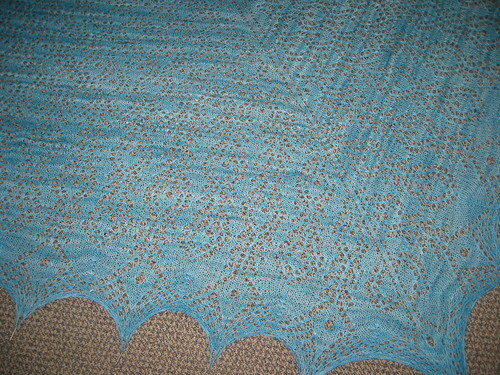 Joey the cat was super interested in the blocking of the shawl, so it had to dry with a sheet over it. 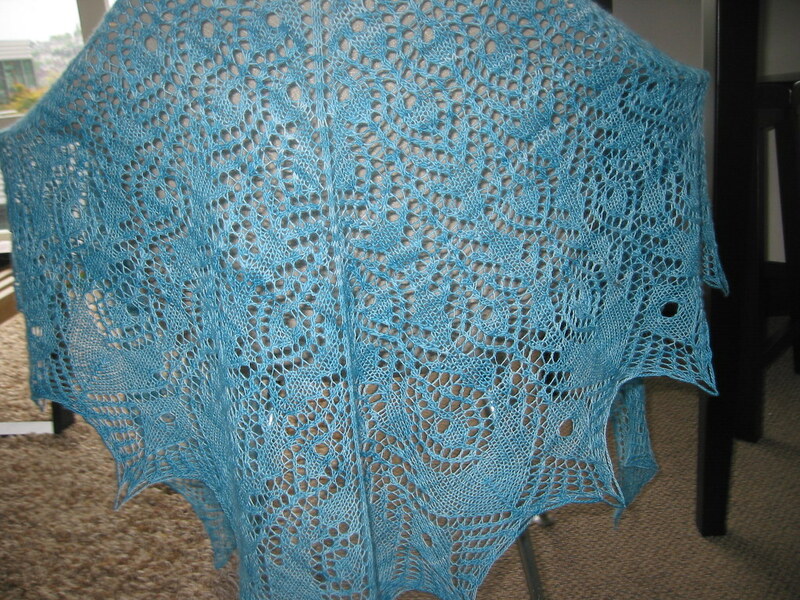 Overall I am happy with the shawl, though you can see where the yarn has felted up at the start of the shawl. 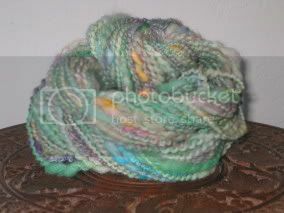 Malabrigo lace is a single, that is, one ply, yarn and is very softly spun, probably via the long draw. 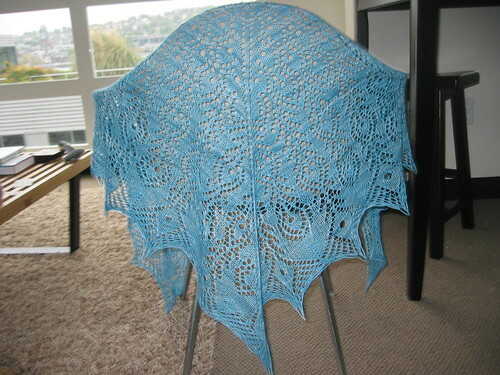 The pattern is relatively easily mastered, perfect for knitting when I was in Hawaii. Occasional stitch markers are helpful if, like me, you are paying minimal attention to the knitting. I finished up the edging in a couple classes- a good way to make criminal law more bearable! 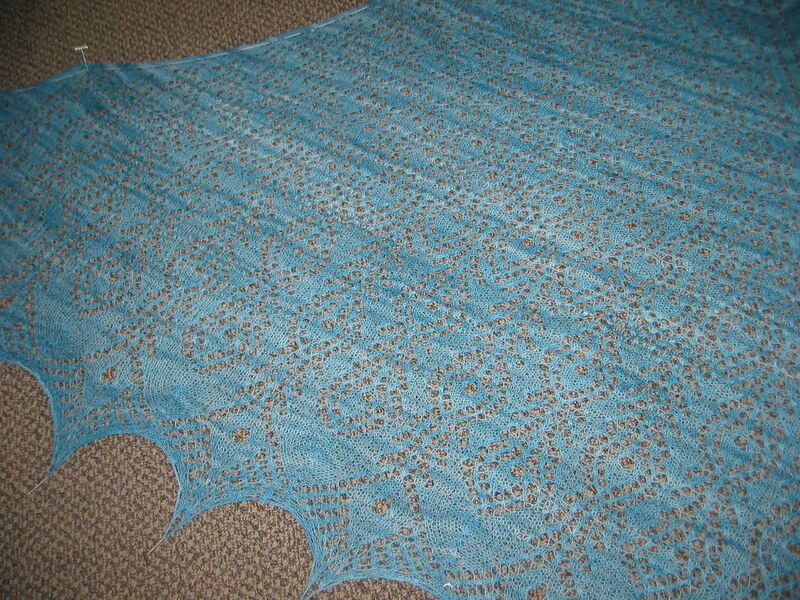 The shawl took many many hours. Mostly because I work on other stuff while i am knitting.